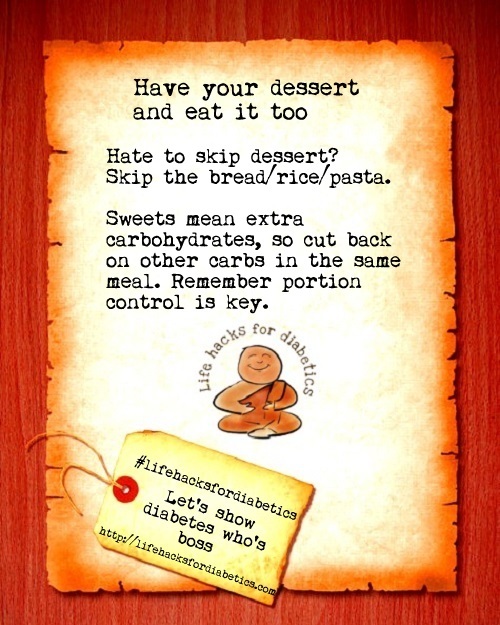 Who said you must give up desserts if you are diabetic? Just skip the rice, pasta or bread you plan to eat with your meal. Sweets are additional carbohydrates and because you don’t want a carb overload when you plan to enjoy your dessert, you must make sure your meal is balanced. Also – always remember portion control is important. So have your dessert, and eat it too!